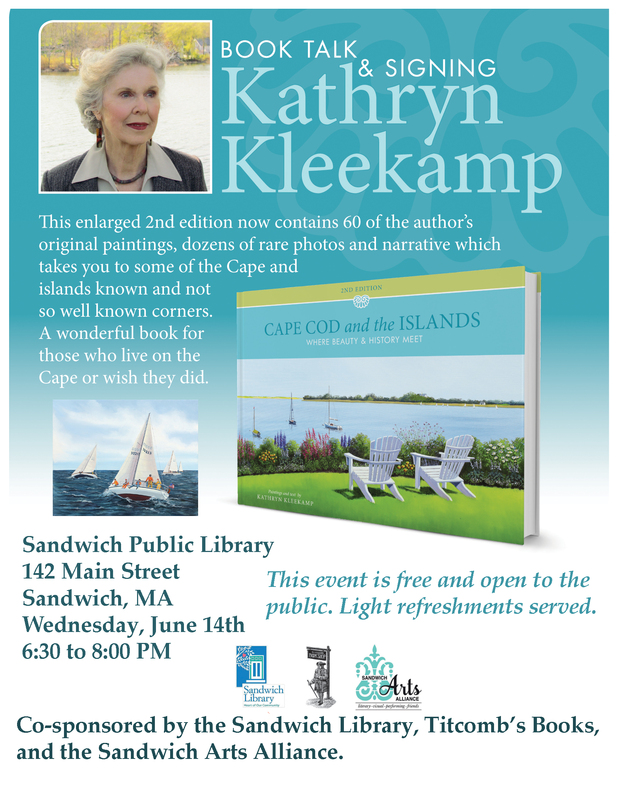 Meet renown Sandwich artist and writer, Kathryn Kleekamp at the Sandwich Public Library on Wed., June 14th from 6:30 - 8:00 PM. 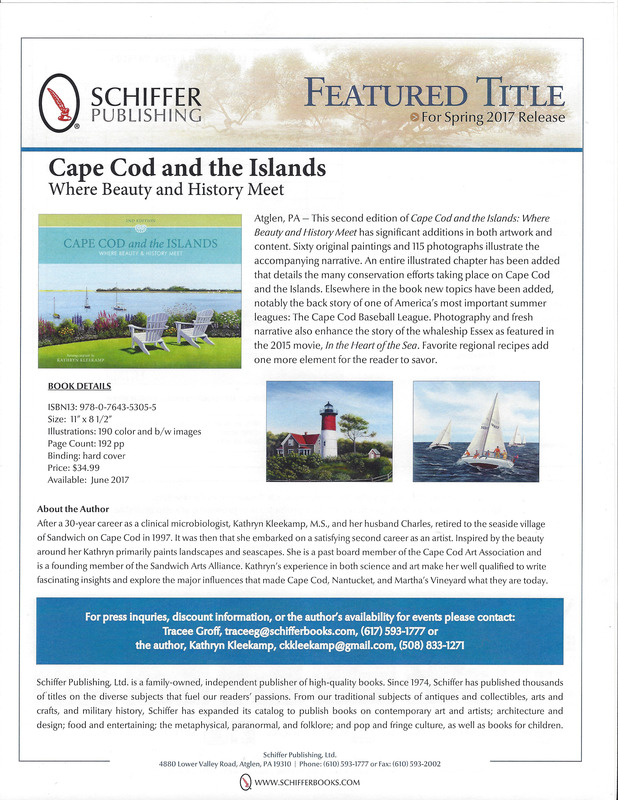 Kathryn will talk about her new book, "Cape Cod and the Islands: Where Beauty and History Meet", featuring 50 of her original oil paintings depicting land and seascapes along with rare historic photographs. Image and text capture the fundamental nature of this remarkable area: the heartbeat of those who farmed the land, fished the seas, captained the great schooners, or waited at home for a loved one's return. The event is co-sponsored by the Sandwich Library, Titcomb's Books and the Sandwich Arts Alliance.